Ford Focus RS Performance, Engine, Ride, Handling | What Car? 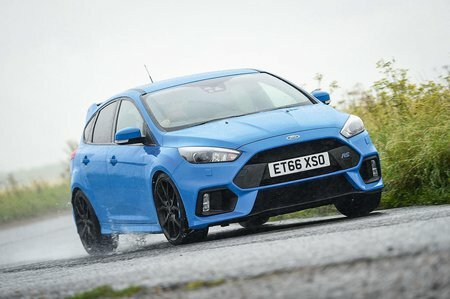 The Focus RS has four-wheel drive in its arsenal so manages to slingshot itself away from the line brutally, outpacing even the BMW M140i to 30mph. 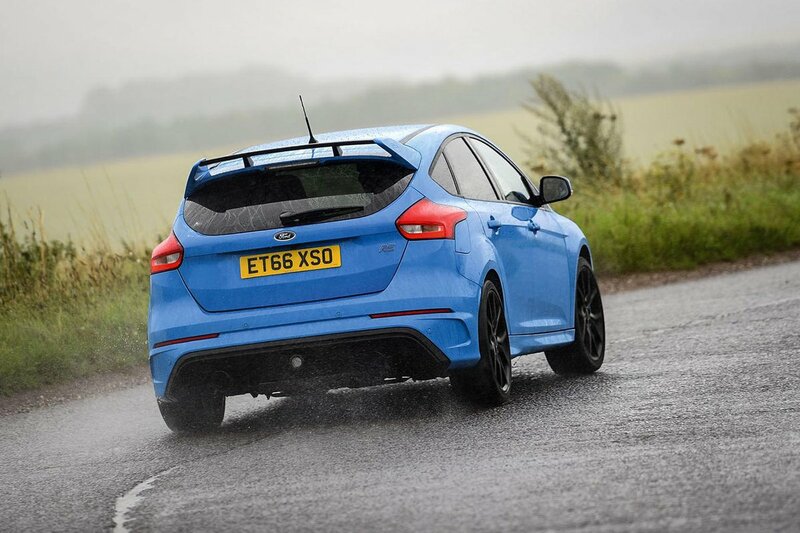 By 40mph, its lead has been wiped out, but the Focus still managed to hit 60mph in a blistering 4.8sec in our tests. And apart from changing gear quickly, you don’t need any real talent to experience this, because there’s a clever launch control system that allows you to make the perfect getaway each and every time. There's also very little surge when the turbocharger kicks in, so you get an incredibly linear power delivery from 2000rpm to 6000rpm. True, the engine in the rival Honda Civic Type R revs more sweetly so is more fun to thrash, but the Focus sounds better; it roars loudly when you put your foot down and its exhausts pop and bangs angrily when you lift off the throttle. The Focus has a jolly good gearchange, too, even if the clutch is on the heavy side. Around our 0.9-mile test track, the Focus lapped quicker than the M140i, but was half a second behind the Civic. Driving the Focus hard is an altogether more physical experience, too. It grips just as hard as the Civic and you don’t need to be quite as delicate with the controls to corner quickly, because the four-wheel-drive system automatically shuffles power between the front and rear wheels to keep you balanced through bends. However, the Focus isn’t quite as stable as its Japanese rival under hard braking, is more troubled by mid-corner bumps and potholes, and often tries to follow cambers in the road. Mind you, on the right road (a smooth one), you’ll have more fun in the Focus than the Civic; it’s that bit more playful and its steering streams more feedback to your fingertips. However, on more mundane trips, you'll wish for a more pliant ride; even with the suspension in its softest setting, you feel every little lump and bump as it passes beneath the car. The Focus isn't the quietest cruiser in the hot hatch class, either, because its boomy exhaust never really shuts up and the tyres slap noisily against the surface of the road.